Leaders of cash-strapped rural hospitals worry that the latest proposal to repeal and replace the Affordable Care Act could destroy them. With higher rates of Medicaid patients than their urban counterparts, rural hospitals would be disproportionately hurt by an end of the Medicaid expansion proposed in the so-called Graham-Cassidy Senate bill, said Maggie Elehwany, vice president of government affairs at the National Rural Health Association. "We have a rural hospital closure crisis," she added. The last-ditch effort by Senate Republicans to replace the ACA would end Medicaid expansion by 2020. The legislation would repeal the employer and individual mandates, while doling out nearly $1.2 trillion in ACA subsidies to the states through block grants. The bill is silent on the current crisis affecting the individual market. In fact, the push to hold a vote on the bill next week thwarted bipartisan discussions aimed at crafting legislation to address cost-sharing reduction payments. Those payments help insurers offset the costs of offering low-income people more affordable plan options. Today, 41% of marketplace enrollees in rural areas have just one option for insurance, representing 70% of all rural counties across America, Elehwany said. Of the nation's 1,160 rural hospitals, 41% are operating at a financial loss; 82 have closed since 2010. And 1 in 3 of the survivors is considered at risk of closing. Elehwany said that rural hospitals would be hit especially hard by legislation that increases the uninsured, boosts deductibles for patients or threatens already shrinking Medicare payments. She adds that the association would much prefer to see fixes to the ACA and Medicare. Specifically, Medicare payment cuts should stop since 60% of patients at small, rural hospitals are elderly. The Medicare Payment Advisory Commission noted that urban hospitals make a 7% margin on their Medicare business while rural hospitals have a negative 6% margin. The association also would like to see states empowered to require insurers who provide Medicare Advantage plans or Medicaid managed-care plan to also have to participate in the individual marketplaces, Elehwany said. The additional competition would likely be a brake on rising premiums and deductibles, she said. The issue of rising deductibles is one that Fitch Ratings is watching closely as details of Graham-Cassidy unfold, said Megan Neuburger, team head of healthcare in Fitch's U.S. corporate ratings group. If state block grants end up cutting funding to healthcare, patients who can afford insurance may end up with higher deductibles, leaving hospitals struggling to collect payments, Neuburger said. States also will be able to allow insurers to offer less-rich benefit plans than the ACA requires, she said. If that deters patients from seeking uncovered treatments or preventive care, that might also affect provider volumes, she added. 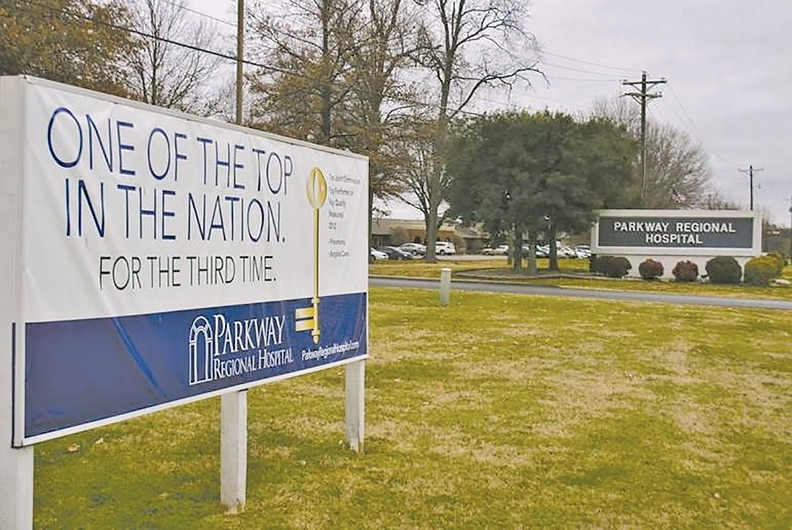 Curae Health, which owns three rural hospitals in Alabama and is about to add a third rural hospital in Mississippi, is still processing Graham-Cassidy and trying to determine how it would affect the Clinton, Tenn.-based not-for-profit system, CEO Steve Clapp said. If it does pass, he hopes the block grants to non-Medicaid expansion states, such as Alabama and Mississippi, even out spending with the 32 states and the District of Columbia that did expand. "The main thing is that we get on an equal footing," Clapp said. Rural hospitals in non-expansion states have seen a greater percentage of uninsured than in expansion states because fewer adults have been eligible for Medicaid coverage. Meantime, Curae hospitals have been hit by ACA-mandated reductions in disproportionate-share hospital payments the same as hospitals in expansion states, Clapp said.